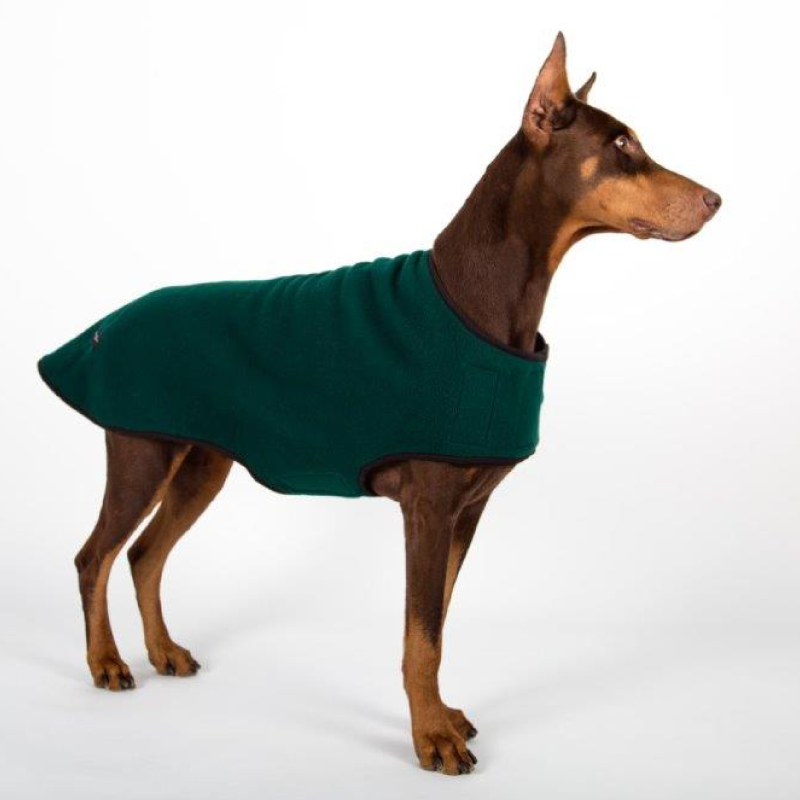 The Boulder Sweater is a stylish, tailored outer garment made from warm fleece. 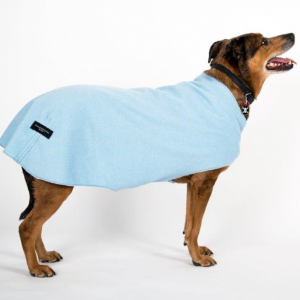 This designer dog sweater is perfect for cold winter days. It’s often worn by dock-diving dogs on their way home from the pool.